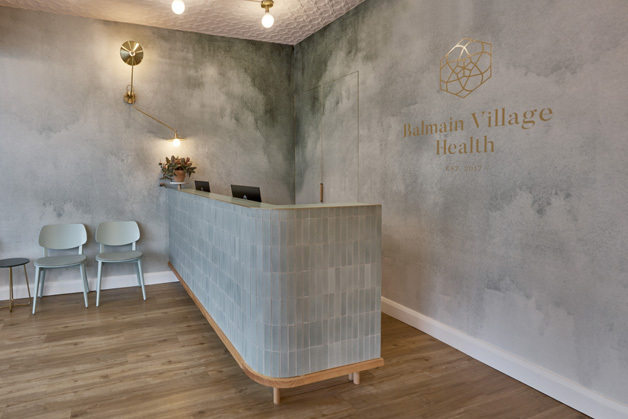 Located in the heart of Balmain, Balmain Village Health is medical practice with Doctors, Nurses and Allied Health Professionals providing the highest-level healthcare tailored to its locale. 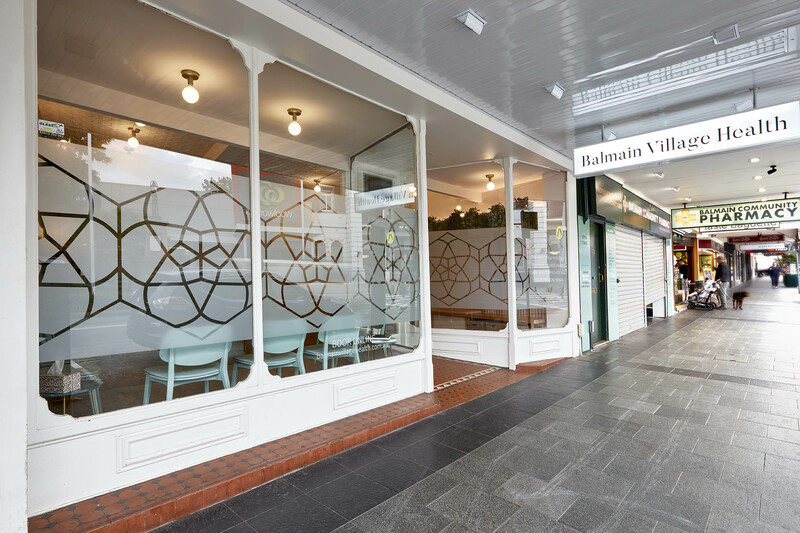 Balmain is a suburb steeped in history with numerous heritage-listed buildings. Honouring this we retained as many period features as possible, including ornate pressed metal ceilings, to work harmoniously with contemporary elements. 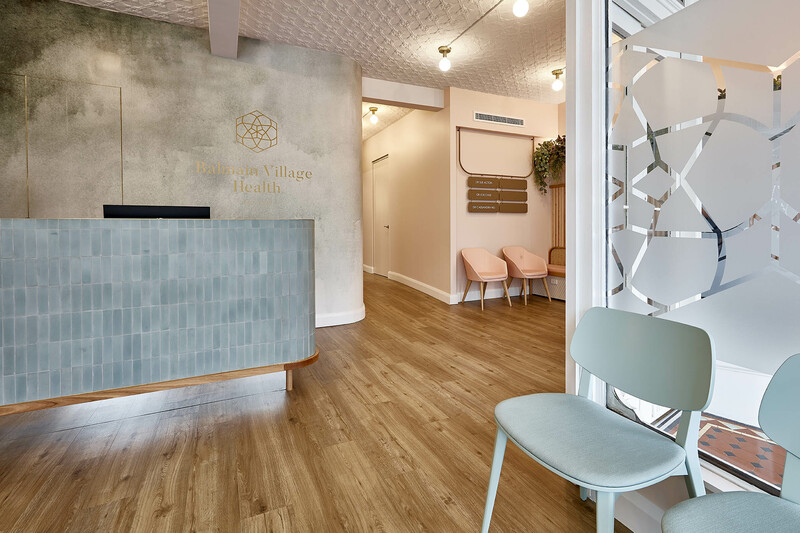 We have a created a medical practice that sets itself apart from mainstream practices. 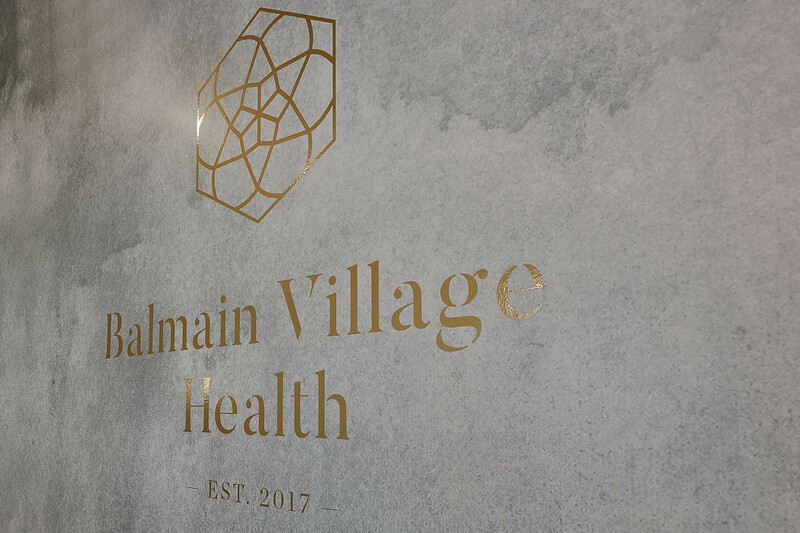 When stepping into the reception, patients are welcomed into a calm, warm, inviting and relaxing environment. 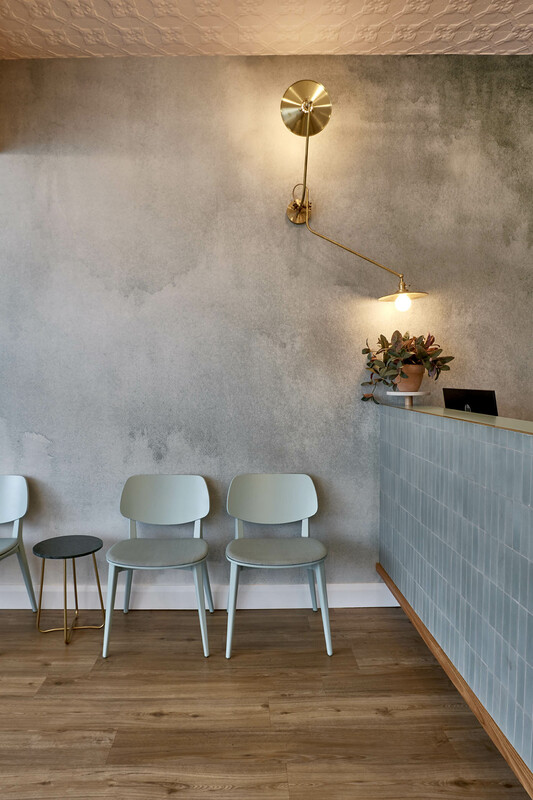 The idea was to simply create a medical practice that wasn't conventional. 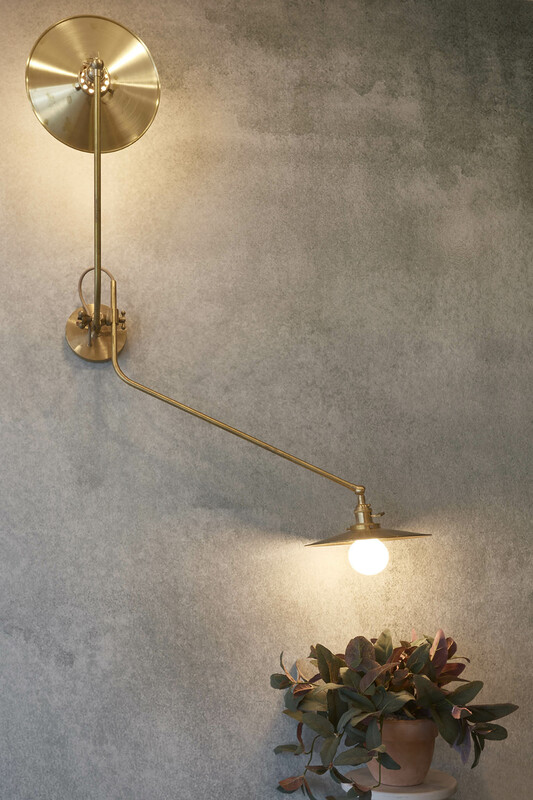 We have executed this with a sensitive and carefully curated palette of finishes, textures and lighting. A green wallpaper mural wraps around two walls in the reception. 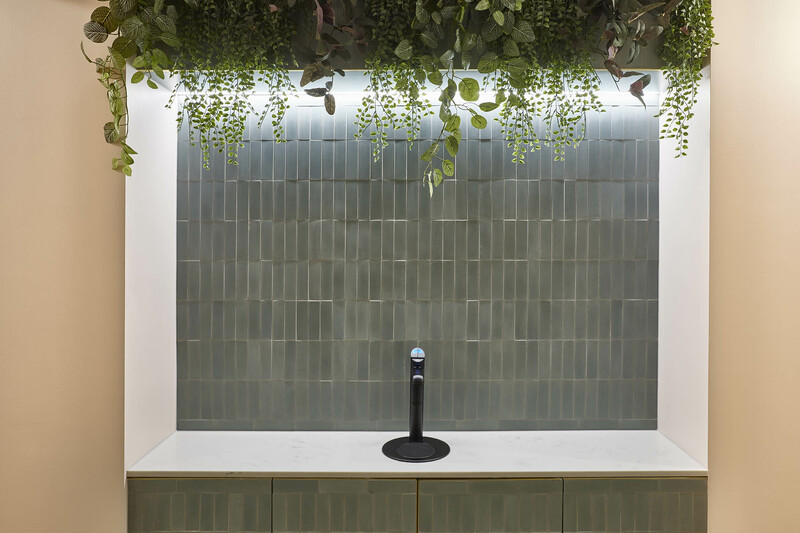 In the same hue, handmade green tiles clad the counter. 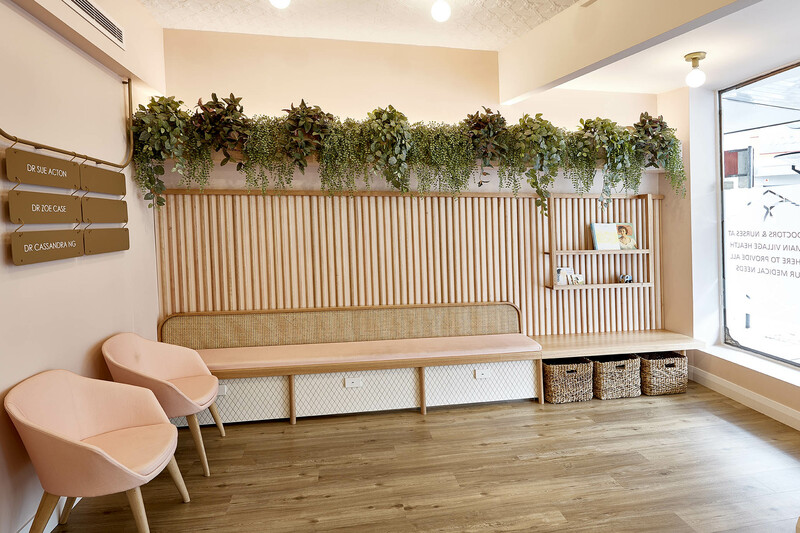 Calm pinks, wicker and warm timbers were selected to compliment and add softness.